Wearing a hot pink hello kitty fleece, filling the air with their warm voice is Athens resident, Pop Peterson. Peterson identifies as Black, Latinx, pansexual and genderfluid. Pop also uses the pronouns they and them. “I carry my blackness on my sleeve wherever I go,” said Peterson. Pop’s perspective on their blackness is one shared by many people of color (also known as POC). That feeling of carrying something, different from many people, around with you can lead a sense of otherness — especially if you’re the only person of color in the room. It’s something queer people of color or QPOC students tell Ohio University LGBT center director, Delfin Bautista, all the time. “Feeling other being in spaces where and I know students have shared this being the only person of color, being the only LGBT, being the only LGBT person of color in spaces, can be very overwhelming, just othering as a whole,” said Bautista. But this feeling of otherness felt by QPOC’s isn’t’ just limited to spaces outside the queer community — it happens IN the community too. And for Ohio University student Carl Fonticella, a gay Mexican-American that leads to some awkward moments in his dating life. While racial fetishization, the obsession with a person or culture belonging to a race or ethnic group that is not one’s own, can happen to queer POC in queer spaces–for Pop there still is a general sense of comfort in the spaces. 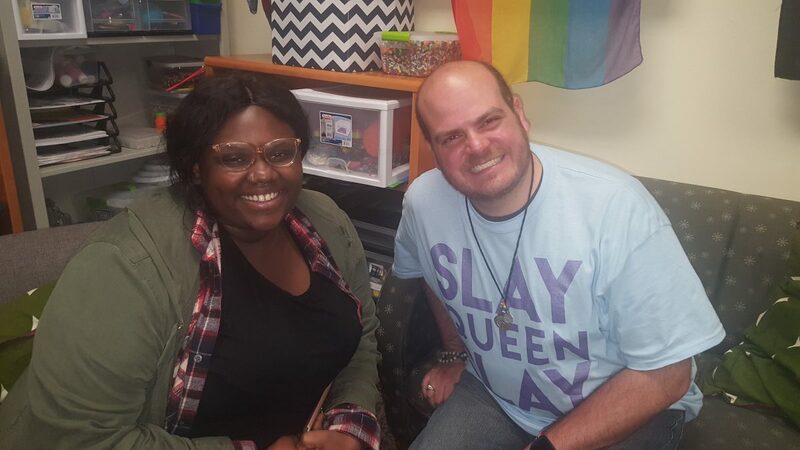 There are now places that give students a chance to bond and find community but they aren’t the only means through which queer people of color in Athens find community. In fact, QPOC have been able to forge small but mighty communities based on interests other than race and sexuality. This new community represents a larger good for Athens and QPOC. These communities give QPOC a space to be unapologetic and proud without the constant need to explain themselves, their identity or their pride in those things.